From his Southport office overlooking Boothbay Harbor, Capt. Bruce White of Sea Tow Portland/Midcoast, can watch his six Sea Tow vessels zoom past on their way to and from jobs. Often those jobs take the Sea Tow boats past uninhabited islands, said White, who has co-owned this franchise since 2015. Over the years, he has worked jobs up and down the coast; and whether in Casco Bay, the Sheepscot River or Muscongus Bay, it’s safe to say he knows a thing or two about what makes these wild islands so special. For that reason, he and his co-owner, Capt. 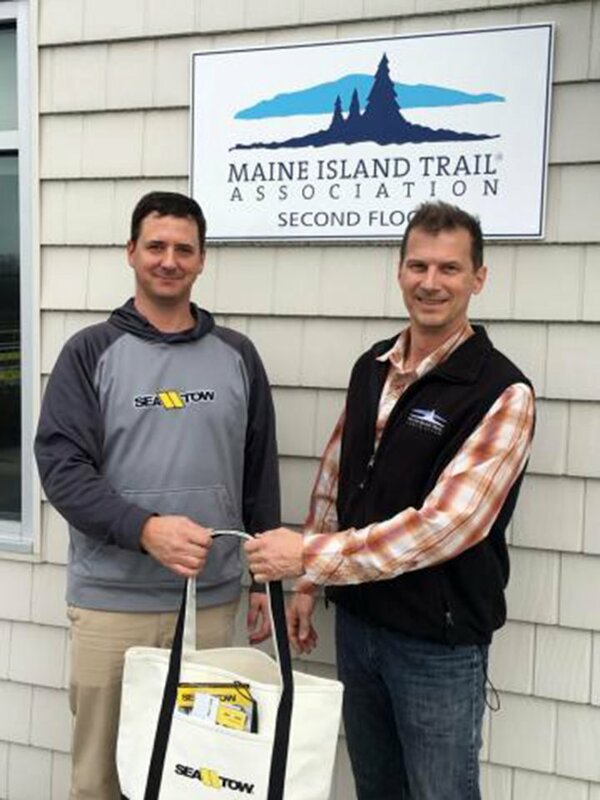 Matt Wilder, have – for the sixth-straight year – partnered with the Maine Island Trail Association (MITA) to help preserve the wonder that is Maine’s wild islands. Co-founded by Dave Getchell, Sr. in 1988, MITA is a nonprofit organization “charged with caring for the trail islands to ensure the integrity of their wilderness character.” Now with more than 6,000 active members, MITA is heading into its 30th year. As part of the partnership, Sea Tow Portland/Midcoast will provide free Sea Tow memberships to each of MITA’s nine boats, which are often operated by seasoned volunteers. Should any of its vessels break down during the course of its duties, White and his crew will provide a jump-start, fuel delivery or tow, free of charge. In addition, White will donate a one-year Sea Tow membership to MITA’s annual fundraising auction, which will be held May 17, 2018 at East Coast Yacht Sales in Yarmouth.